This morning, I have a Christian Living novel in my book spotlight! 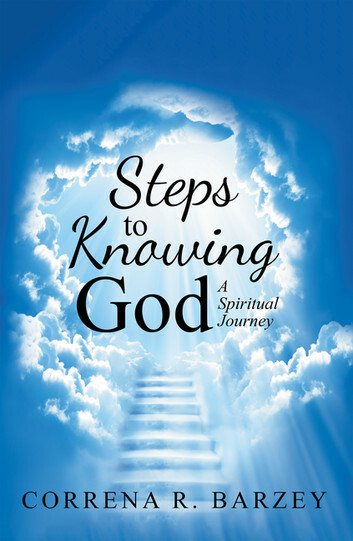 Check out Steps to Knowing God: A Spiritual Journey, learn about the author & enter for a chance to win a copy in the book tour giveaway at the end of this post. For an action-packed revelation on how to live a satisfied life with Christ, every page of this book highlights the truth of God and His desires for us. It is filled with spiritual nutrients and helpful tools that will transform and change lives for the glory of God, thus giving us the ammunition needed to withstand the evil one Gaining a better understanding of God and developing spiritual qualities that will deepen your devotion to Him and will steadily transform you into His likeness. Correna R. Barzey is a mother of four, born on the tiny island of Montserrat in the Caribbean. She was brought up in the church from a young age by her grandmother and is a devoted christian who delights in God and His Word. Correna knew she had a passion for writing as she began to write inspirational poems for friends and loved ones, however, looking at this world desperately in need of Christ, she decided to write this book to give others a clearer understanding of Christ.